I know my name for this one isn't super-original :) I named it for the horizontal "piping" texture. 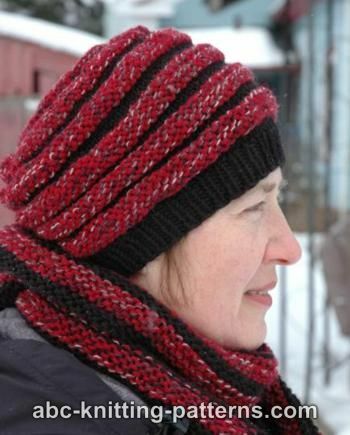 This seamless 2-color hat is worked in the rounds, from the bottom up. 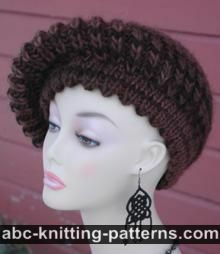 This hat is actually very easy to make. 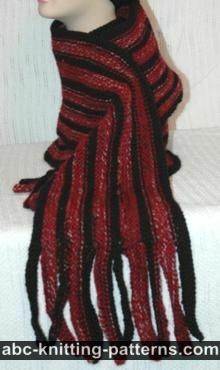 There is also a matching Pipe Dream Scarf. Needles: US #6 (4mm) / 20" (51 cm) circular needles, US #7 (4.5 mm) / 20" (51 cm) circular needles and a set of size US #7 (4.5 mm) double pointed needles (dpn), OR SIZE NEEDED TO OBTAIN GAUGE. m 1 - make 1 increase - I used the increase described by Elizabeth Zimmerman: make a backward loop over the right-hand needle and in the next row/round purl/knit it as a regular stitch. 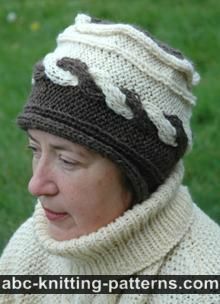 Stockinette Stitch in rounds: All rounds knit. Hat is worked in rounds, seamlessly, first on circular needles, then on dpn, or using the magic loop technique. 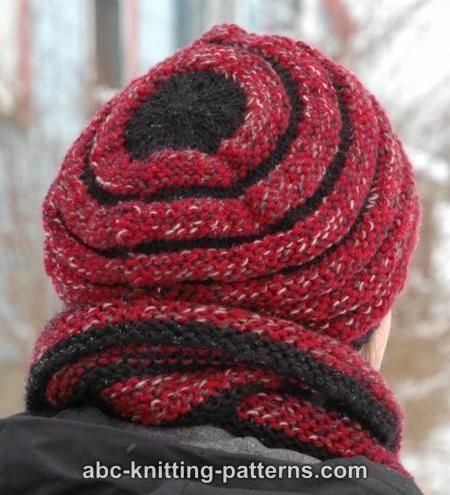 Using circular needles US#6 (4 mm), color A yarn, cast on 80 sts, join and continue working in rounds. Place the marker at the beginning of the round, slip marker while working. Work rib for 8 rounds. Round 9: *k8, m1 – repeat from * 10 times. (=90 sts). Repeat rounds 11-18 three more times, repeat round 11-15 one more time. Transfer the sts to dpn, distribute evenly. Change to color A, which will be the working color to the end of the work. Finishing: weave in all yarn ends.